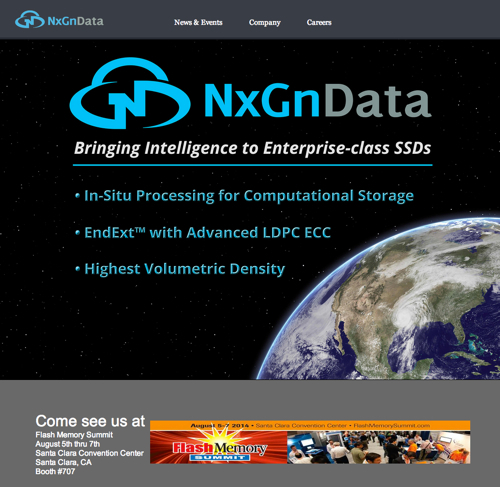 Startup NxGnData Stepping onto the flash controller stage from its stealth phase comes with an FPGA-based SoC promising hyperscale cold data storage using cheap, short-life TLC flash and in-situ processing. Highest volumetric density (in M.2 size form factors). NcGn was founded by CEO Nader Salessi, CTO Vladimir Alves and SVP SSD Solutions Richard Mataya in mid-2013. It has offices in Irvine, CA, and Hsinchu, Taiwan, with 40 staff overall. The founders have history with Western Digital, STEC and Memtech, saying they have 45 years of SSD experience between them and aim to bring out a “new generation of intelligent SSD solutions” based on proprietary SoC (System on Chip) controllers. The 40 staff, two offices and 18 patent filings suggests a significant level of seed funding and the 12 months in stealth is a short enough period to promise rapid product development. Salessi was VP for Western Digital’s SSD business unit (inside HGST) until 2013, coming in with the sTec acquisition. Alves was a senior director at Western Digital for SSD SoCs until April 2013. Mataya was a senior director of SSD hardware engineering at Western Digital, also coming in with sTec where he was VP of hardware engineering. We have three HGST senior SSD guys leaving to form their own SSD SoC controller company, which implies that they think they can do better than HGST at controller development. Kamyar Souri, a NxGn firmware architect also came from Western Digital (HGST) via sTec. Enablement of ultra-high capacity, low-cost TLC solutions for cold storage SSD. This in-situ processing idea suggests that that NxGn controllers will do compute but they are surely not intended as X86 processor replacements so the compute will be limited in scale. 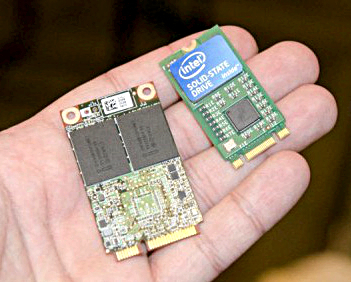 The M.2 form factor is used by tablet devices. With its error correction and signal processing technology, we’re guessing that the NxGn developers aim to extend TLC flash’s short endurance such that it can reliably used for archiving old data in flash as an alternative to tape. It’ll be down to its OEMs to produce cold storage SSDS that are priced attractively enough so that the premium - for sure there’ll be a premium - customers pay for fast flash cold data access is not too excessive compared to tape’s low cost. Facebook has famously said it would like to store old photos in flash from whence it could feed them to users on demand, presumably much faster than from tape or spun-down disk. The development time-scale is for technology evaluation by selected customers (OEMS, we'd imagine, or else hyper-scale customers like Facebook) later this year, with FPGA-based sampling in early 2015 and M.2 SoC-based production samples in late 2015. That implies OEMs could deliver product in late 2016/early 2017.